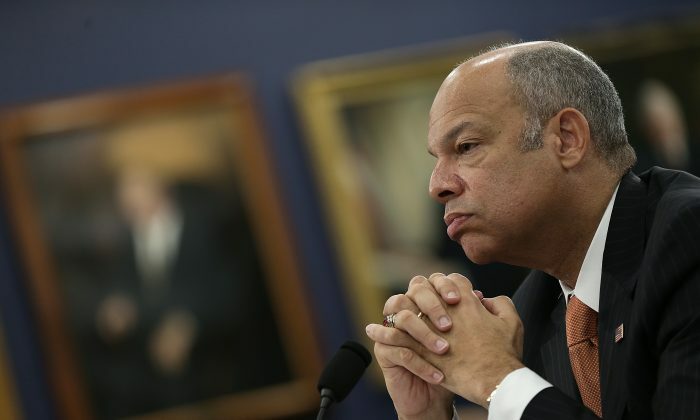 High-level talks on cybersecurity are set to begin April 8 between the Chinese regime and U.S. Department of Homeland Security Secretary Jeh Johnson. The three-day mini-summit in Beijing is on counterterrorism and global crime, and cybersecurity will be a key topic. The visit comes just one week after the Obama administration announced a new sanctions program that will punish hackers and businesses that profit from hacking. The sanctions could seriously affect the Chinese regime’s state-run companies that benefit from cybercrime. The sanctions will likely be one of the key topics, and the sanctions could make this the first high-level cybersecurity dialogue with China where the United States has any significant advantage. The sanctions could seriously affect the Chinese regime’s state-run companies that benefit from cybercrime. Looking back, each time the United States has tried to engage the Chinese regime on its use of cyberattacks for financial gain, Chinese leaders found a new card to play. Back in July 2013, President Barack Obama was set to have a groundbreaking meeting with Chinese Communist Party leader Xi Jinping on cybersecurity. While Obama was on a flight to California for the meeting, however, former contractor for the National Security Agency (NSA) Edward Snowden released information on the NSA’s spying programs. Snowden effectively ended the dialogue on the Chinese regime’s economic theft. “By inaccurately elevating Beijing to moral equivalence with Washington, Snowden obscured this critical distinction, giving China political shelter,” wrote John Bolton, a fellow at the American Enterprise Institute, at the time. It wasn’t until May 2014 that the Obama administration again tried to end the Chinese regime’s use of cyberattacks for financial gain. The Department of Justice unsealed charges against five Chinese military hackers on May 19. The Chinese regime immediately responded by lashing out at U.S. companies. The day after the charges were unsealed, on May 20 the Chinese regime banned Microsoft’s Windows 8 from government networks. It soon followed with similar actions against U.S. companies, including Apple, IBM, and Cisco. As things stand now, the Chinese regime has continued milking Snowden’s claims on U.S. spying for all they’re worth. And the threats of litigation didn’t give the United States any additional cards to play, since the Chinese regime showed it can hit U.S. interests much harder by going after private companies. For this week’s meeting on cybersecurity, however, the United States has a much more powerful base with its threats of sanctions. Unless the Chinese regime can produce another Snowden, the current dialogue may actually achieve results.